I’ve no idea if you’ll have noticed but this weekend was the NBA’s annual All-Star Weekend which is basically when a bunch of famous people get together to play some basketball. This year, Michael B. Jordan took a break from the opening weekend of Black Panther to lead Team Lakers while rapper Common took charge of Team Clippers. However, two of the more hotly anticipated celebs playing were Justin Bieber and Stranger Things legend Caleb McLaughlin. In the moments leading up to the game, Caleb uploaded a video of him and Bieber having a little exchange of words which people noticed had a sly dig in from the world famous singer. Of course, it was clearly good-natured and only a little bit of pre-game banter but fans were quick to point out the jibe. 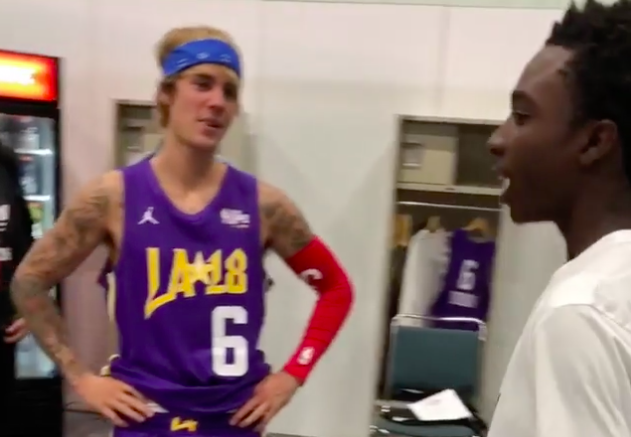 If you missed it because you were staring at Bieber’s bulging biceps, it was a simple case of the Biebs not recognising McLaughlin because he plays ‘more of a dorky kid’ in Stranger Things and simply didn’t recognise him in his basketball gear. Easy mistake to make if you ask me. Anyway, it was quickly laughed off and the two went on to play in the All-Star game which finished with the Clippers taking the title. If anyone cares, Quavo took home the MVP trophy. That means Most Valuable Player. And in the Queen’s English that means Man of the Match.